iNET can take your business to the next level by providing the skills and technology to produce cost effective solutions to enhance and promote your web presence. With over 18 years experience in web design and development iNET has been able to achieve our client’s fullest potential on the web. We have developed our own content management system, the iSITE, to provide a fully search engine optimised website which is very effective, low cost and easily customised. This is website management at your fingertips! Not just another content management system! 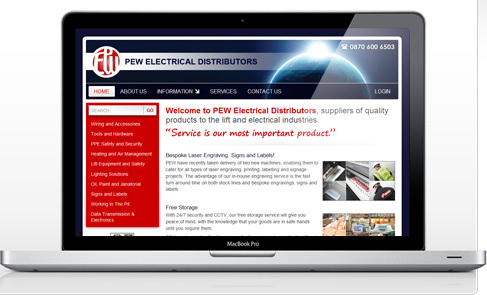 An iSITE can provide a website with everything you need to project your company onto the web. Whether you require a simple three page website or a complete on-line shop the iSITE can deliver. With it’s fully search engine optimised standards compliant pages you can rest assured your company and products will have the best possible chance of reaching that coveted page one position. Find out more about what an iSITE can do for you. iNET can offer the complete package for your business and can provide everything you need for your on-line presence. Let us make the web work for you, and be prepared to be astonished at what we can achieve.